Hi and welcome to our site. It’s great to see you here. 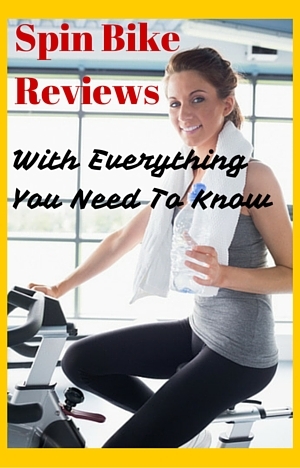 We are the site that does full and complete spin bike reviews. We look at them from all angles so you get everything you need to know in one place. There is no need to hopping all over the web to get the full picture. We don’t always have the spin bikes to use ourselves but instead we completely investigate each bike. By doing this we can express an unbiased and independent opinion on the bikes in our articles that are backed by thorough research. This hopefully saves you time, money and helps to prevent disappointment. You’ll also be able to get to your workouts quicker! You’ll find the spin bike reviews on this site are very in depth as we look at all aspects of the bike. They are the result of many hours of detailed work researching at how the bikes features work and to understand and assess them. We look at why they have certain features and how they can help you get the type of workout you want, whether it is to burn calories, for general physical fitness, or high intensity training. We look into why certain bikes cost more than others and their different features and assess whether the extra money is worth it. This all helps in assessing how good the bikes really are and which is the right one for different user circumstances. If you are looking for a compact and quiet bike for your apartment or small home take a look at our best spin bikes for apartments listing to help you find the right one for you. Our current recommendation for those on budget is the Sunny Health & Fitness Indoor Cycle Bike. If there is a bike you’d like to see us write about please let us know in the comments section or by using our contact page. We have to date reviewed various Sunny Health & Fitness bikes, Keiser M3 Plus, Schwinn IC2, Diamondback Fitness 510Ic Indoor Cycle and the Sole SB700. To do our in depth spin bike reviews we take a lot of time investigating the bikes. We check out their listings online looking at their descriptions, reading through the reviews, going through the manuals in detail and ask questions of the supplier if there is anything that is not clear. We look at the features we think are the most important and critically assess the information we’ve gone through to determine how each bike performs – where it is good and where it isn’t – and who it is for. How is the bike constructed and does it give a stable and durable ride whether sitting down or standing up? Does it have a console and is it accurate? Are there any workout programs built-in? How good are the pedals – what type of shoes do they take and can you stand up on them and ride hard? Is the assembly easy or hard? What is the quality of the ride like – is it smooth and natural like riding a bike or is it more choppy and jerky? Will the bike be with you for a number of years no matter how hard you ride it? What is the resistance like? Does it go up incrementally or does it just go from easy to being too hard in one small turn of the tension knob? How noisy is the bike? Does it make too much noise so you can’t ride your bike without disturbing others or does it just make an annoying squeaking sound every time you ride it? Are there any accessories and are they worth having? What type of workouts can you get from the bike? How heavy is the bike and can it be stored and moved easily to and from the workout area? Sometimes you may have more than one bike you are considering. To help with this we have a table that compares the spin bikes we’ve reviewed to date. You can find it here: Compare Spin Bikes. You can sort the table by the feature you are interested in most to see which one comes out best for that. It includes all the features we think are most important when you are looking to buy one. If we haven’t reviewed the bike you are interested in you could see how it compares with the bikes we have listed by getting the same information together and checking how well it compares. We look at all these reasons in our reviews and let you know if the bike can meet the expectations you have depending on your reason to buy one. Spin bikes are different to other exercise bikes. For this reason we don’t just publish reviews on the site we also have articles that explain what to consider when buying one. There are many different terms used to describe the various parts of the bike and what they do which can add to the confusion especially when suppliers describe them differently. It can be difficult to know which is the best one to buy to help you meet your fitness goals. What is the importance of the flywheel? What are the benefits and disadvantages of different drive types and resistance types? We hope our spin bike reviews help in giving all you need to know to find the right bike for you and that you then get many years of exercise out of them and you achieve your fitness targets.